There were a lot of milestones that were made with this TV show. One milestone is that director Cary Fukunaga indeed direct all eight episodes of season one, which is very odd. Most of the time, there are a variety of directors and writers who write and direct each episode of a series. Another milestone is that Fukunaga filmed a seven minute action scene with literally no cuts. It was all done in one fluid camera motion as McConaughey’s character Rust Cohle heads through a ghetto with a white supremacist when all hell breaks loose. It was one of the finest moments in television history. ‘True Detective‘ spans a few different time periods as our main leads Cohle and Marty Hart (Harrelson), are being questioned present day about their murder investigation years prior. It’s quite clear immediately that the years have not been too kind to Cohle, while Hart seems to have moved on with whatever happened over the years. We first meet Cohle and Hart, both young with well coiffed hair, as they find a brutally murdered young woman. This grisly murder scene is what nightmares are made of. As they search for clues around the desolate swamp towns of Louisiana, they meet stranger and more vile people who shed light on who and what was happening in this small town. In only eight episodes, you grow close to these two men as they try and solve the case and see their personal lives succeed and fail because of it. From the get-go, Cohle doesn’t seem of this planet. His dialogue and brain seem to function on a higher plane than most, which drives his new partner Hart nuts. The bickering back-and-forth between these two is quite funny. 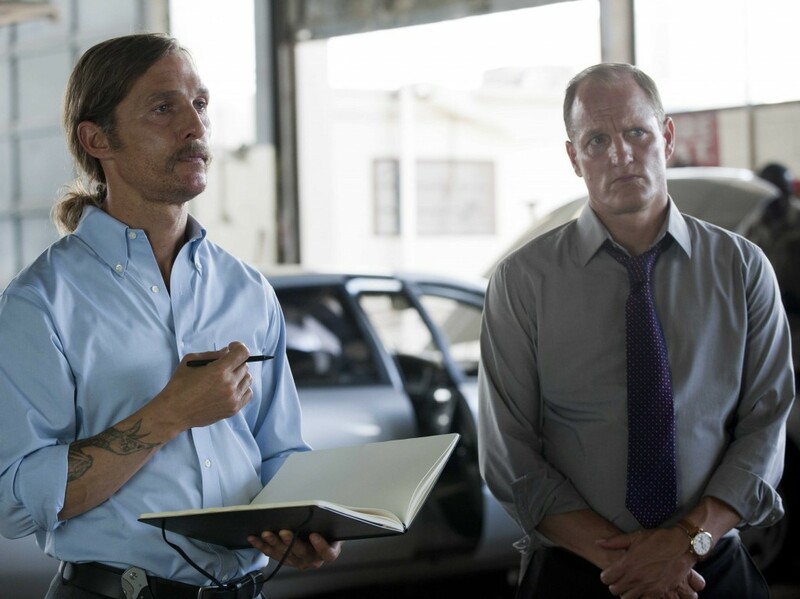 But what’s great about ‘True Detective‘ is that we are on such a powerful and emotional journey with Hart and Cohle, that we see them at their most vulnerable, even though they are supposed to be these strong and heroic men. It’s not so much about the bad guys and what happens to them as it is seeing these two young detectives sticking together through the years to solve a case and the long term effects that it has on them physically and emotionally. HBO has a power-house series on their hands and I can’t wait for the second season to come around. T Bone Burnett provides the haunting yet perfect score for the show throughout and I expect Harrelson and McConaughey to receive acting awards for their roles here as well as Fukunaga’s directorial efforts. 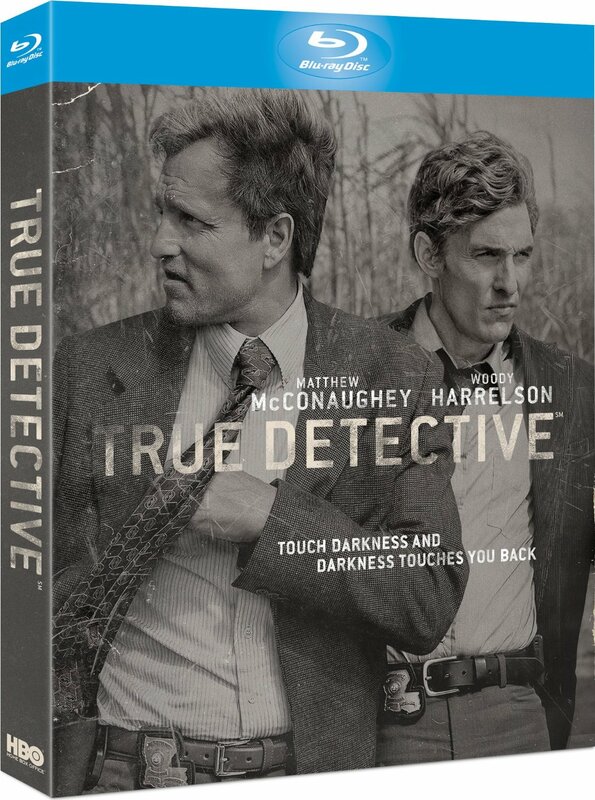 ‘True Detective‘ comes with a demo-worthy 1080p HD transfer and is presented in 1.78:1 aspect ratio. This image is outstanding and completely faithful to the original source material. Detail looks amazing and natural throughout with a very fine layer of grain to give it that organic look and not looking too glossy. Colors are perfectly balanced and very well-saturated. There has been no digital work here done to make a scene look unnatural. Black levels are very deep and inky and skin tones are very natural. During closeups, the sharp detail reveals very fine textures in costumes and individual hairs on the actor’s faces. There were no instances of video noise, aliasing, banding, or any other compression issues. And I’m so happy that HBO has decided to give this eight episode season, full three discs to spread out the amazing detail it has in high definition. Excellent job HBO! This release comes with an equally excellent lossless DTS-HD 5.1 audio mix and sounds robust, full, alive, and creepy all at the same time. The dialogue is always crystal clear and easy to understand. It’s well-balanced and handled with care, as there are a lot of scenes with very quiet dialogue, but it always comes across very naturally. There is also some great directionality as well here. The score by T Bone Burnett is out of this world and full of suspense. It adds that special emotion to each scene as it haunts us for days on end. The sound effects are robust as well and come out the surrounds with ease. The nature sounds, gunshots, and heavier action scenes pack a punch and fully immerse us in this desolate swamp land. There were no instances of any pops, cracks or hissing to speak of. Once again, HBO has delivered the goods on this soundtrack. Audio Commentaries: Unfortunately, there are only two commentary tracks out of the eight episodes offered. The occurr on episodes 4 and 5. Episode 4 features Nic Pizzolatto (Creator) and T Bone Burnett (composer) while Episode 5 features those two plus Scott Stephens (producer). Even though there are only two commentary tracks, these guys cover tons of ground from shooting the series, composing the score, the origins, the casting, and much more. I wish there was commentary on every episode, but these two tracks are definitely worth listening to. Making ‘True Detective’ (HD, 15 mins.) – This is an excellent look at the behind the scenes of ‘True Detective’. There are interviews with the cast and crew and yes, a look at how they made that amazing 7-minute one-shot scene. They go into some of the back stories and origins of the episodes. There is some great on-set footage here. I only wish this was two hours long. Up Close with Matthew McConaughey and Woody Harrelson (HD, 8 mins.) – Both actors are interviewed and discuss their characters in depth and talk about working together and fighting together. Great interviews. A Conversation with Nic Pizzolatto and T Bone Burnett (HD, 14 mins.) – Here is a video interview of the two gentleman discussing the score of the show and the overall tone and themes of the series. There is a lot of praise going on here. Inside the Episodes (HD, 36 mins.) – On each episode, there is a very short bonus feature that has the cast and crew going over what took place and hardships that were encountered during production. Deleted Scenes (HD, 10 mins.) – Two deleted scenes from Episode 3 and Episode 8 that are worth looking at. HBO has knocked this release out of the park. 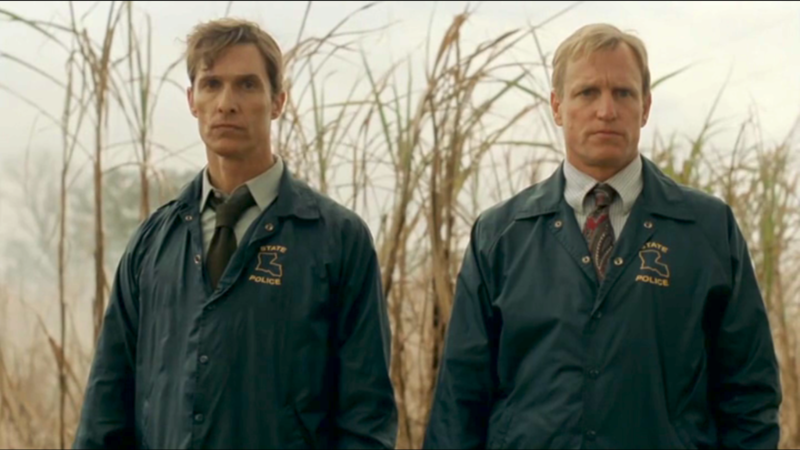 ‘True Detective‘ is one the best shows of recent memory with excellent writing, acting, and filming. The storytelling just doesn’t get much better than this, folks. They video and audio presentations are demo worthy and the extras are all excellent. Although, I would have loved to have commentaries on every episode. This HBO series is a MUST-OWN on Blu-Ray! This entry was posted on Wednesday, June 11th, 2014 at 1:17 pm	and is filed under News, Television, Uncategorized. You can follow any responses to this entry through the RSS 2.0 feed. You can skip to the end and leave a response. Pinging is currently not allowed. « Netflix is Bringing Back ‘The Magic School Bus’! !